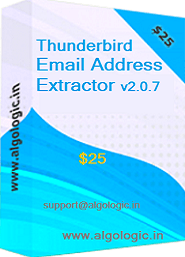 Thunderbird Email Address Extractor v2.0.7 a software tool to extract email addresses from Mozilla Thunderbird. 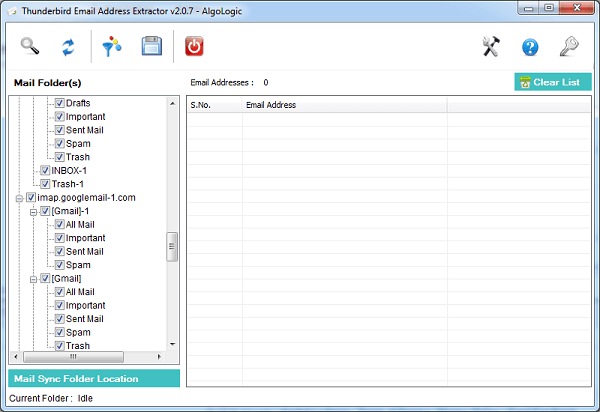 It extracts email addresses from all configured mail accounts in Mozilla Thunderbird. 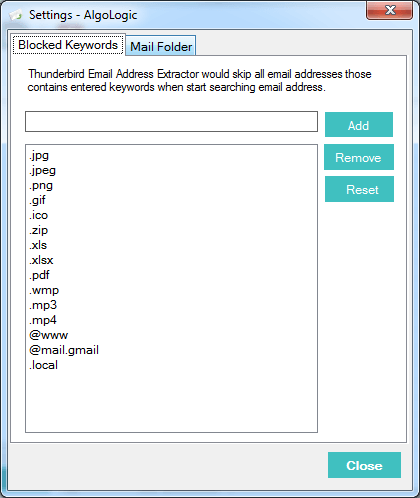 It collects all email addresses from cc, bcc, sender, recipient, subject and mail body of thunderbird emails and gives you a email addresses list. 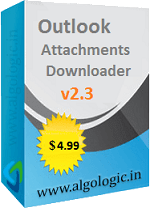 It also supports custom mail sync location other than default Thunderbird location, if you have configured mail accounts sync location other than default Thunderbird location. 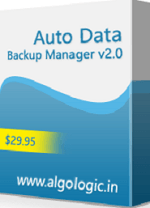 Note : Before using the application you must ensures that Mozilla Thunderbird email client installed on the computer and mail account configured. 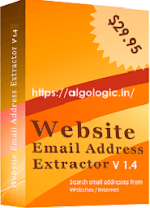 When you starts the application, It automatically loads all mail folders of configured mail accounts from default Mozilla Thunderbird location or from selected other mail sync location. You can select mail folder(s) in left panel from where you want to extract email addresses and click on Search Email button. 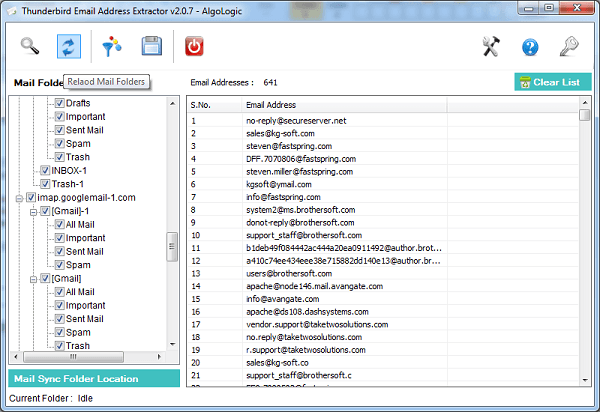 It would search email addresses immediately. 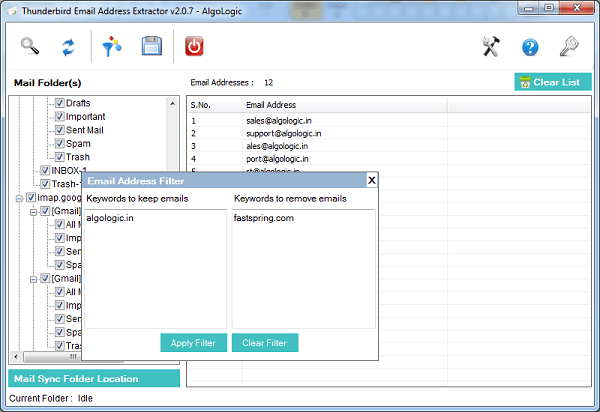 If you want not to search some email addresses that contains some perticular keywords, you can add in settings window. 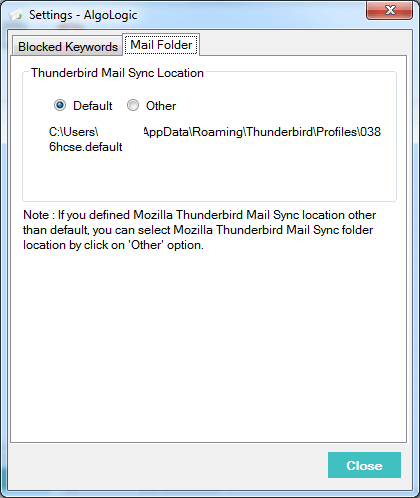 If you configured Thunderbird Mail Sync Folder other then default location, you can setup in the Mail Folder tab of settings window. 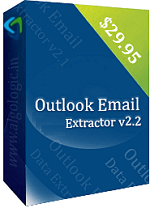 Everytime Thunderbird Email Extractor v2.0.7 would load mail accounts from this location. 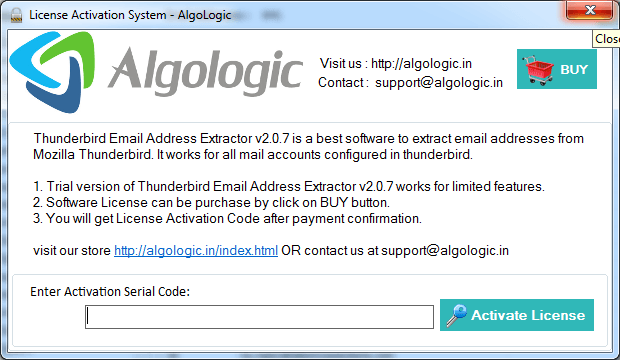 If you changed Thunderbird Email Extractor v2.0.7 settings, you must relaod mail accounts by click on Relaod button. 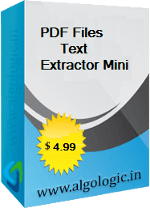 All Files Email Extractor v2.4 is a best email address extractor software tool for windows to extract email addresses from document files of many files format as PDF, WORD (doc,docx,RTF), Excel (xls,xlsx), TXT,CSV,XML,HTML etc in your computer harddrive. 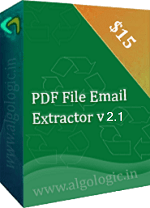 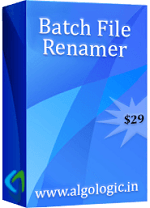 File Email Extractor v2.4 support any version of pdf, word and excel files. 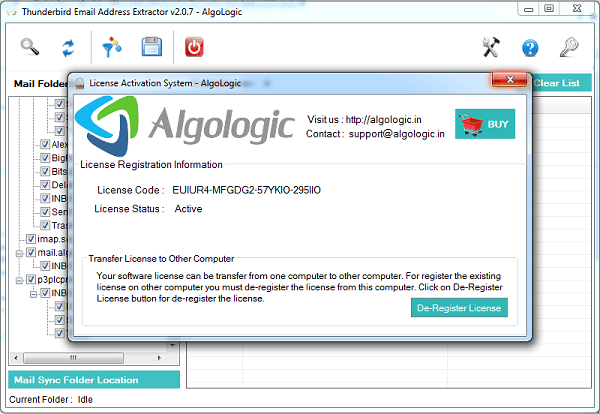 It eliminates duplicate email addresses automatically and filter gives you a list of required email address.